Kathleen B. Jones brings a scholar's insights and a lyrical voice to this philosophical memoir about her thirty-year fascination with Hannah Arendt, one of the 20th century's most controversial thinkers. With Arendt as her guide, Jones recounts stories from her own life interwoven with Arendt's life and work, demonstrating Arendt's enduring relevance to thinking about the dilemmas of modern life. Editorial Reviews "An extraordinary accomplishment First off, the writing is beautiful. Diving for Pearls is both biography and autobiography. As a biography of Hannah Arendt it is scholarly and sensitive, guided by Arendt's own hauntingly autobiographical biography of Rahel Varnhagen. As autobiography, it is literary, honest and thoughtful in the Arendtian sense of being actively engaged in thinking. Jones adopts Arendt as a thinking partner, and moves with her toward existential responsibility and gratitude for one's own life. Arendt commented that love is a kind of friendship across the distance the world puts between us. Kathleen B. Jones shows us how love and friendship are possible even across the distance in time the world puts between generations." Daniel Maier-Katkin, author of Stranger from Abroad: Hannah Arendt, Martin Heidegger, Friendship and Forgiveness "Kathleen B. Jones has done what is rarely possible: writing with stunning intellect from the depths of her own heart. 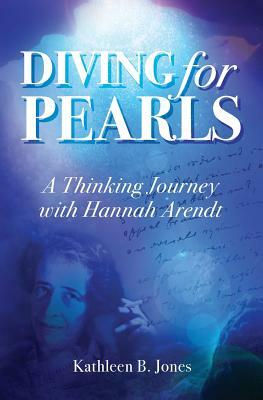 In Diving for Pearls, as in all of her work, Jones emulates Arendt by letting no thought go unexamined, no belief unchallenged, no tradition remain a sacred cow. With her typical no-holds-barred honesty, Jones weaves the fascinating story of her own life through this study of Arendt, probing the difference between what we are and who we are, to get at what it means to live authentically and ethically both as individuals and as citizens of the many communities we inhabit." Laurel Corona, author of Until Our Last Breath: A Holocaust Story of Love and Partisan Resistance, and The Mapmaker's Daughter. "Kathleen B. Jones "slips into the skin" of Hannah Arendt to masterfully weave Arendt's thought and life together with significant moments in her own life story. What Jones finds illuminates the lives of female thinkers and the links between intellectual women across time and place. A beautifully written exploration of memory, loss, responsibility, and love, this book is an exemplar of passionate and engaged political thinking." Lori Marso, author of Feminist Thinkers and the Demands of Femininity: The Lives and Work of Intellectual Women.